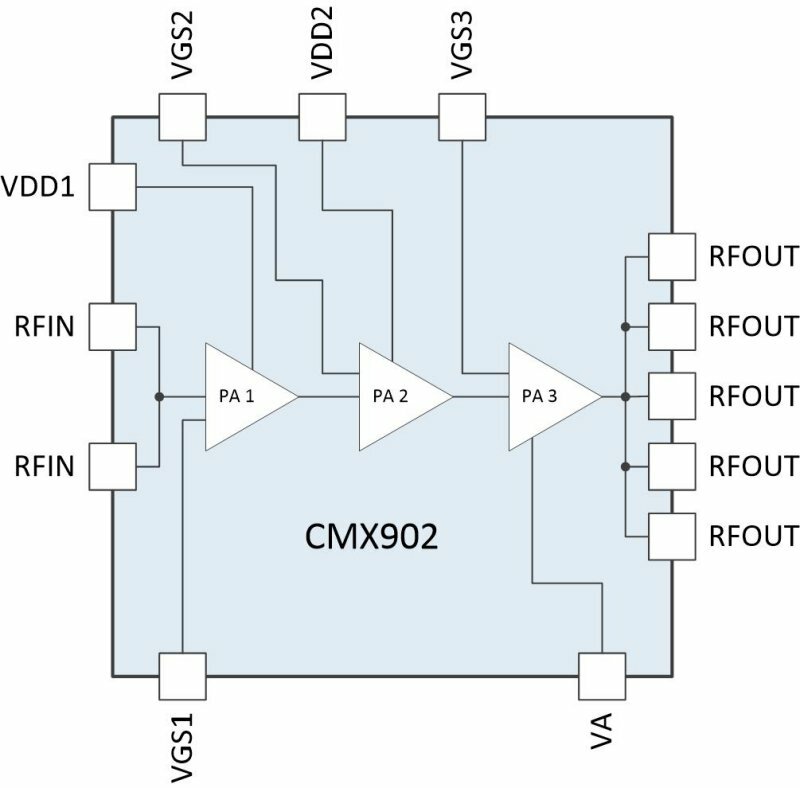 The CMX902 is a three stage high-gain and high efficiency RF power amplifier. The device is ideally suited for use in VHF and UHF frequency bands up to 700MHz. The first and second stages of the amplifier operate in a class-A and class-AB mode respectively, and the third stage operates in a class-C mode for maximum efficiency. External components are required to match the device input and output ports to 50 Ohms. The CMX902 is available in a small footprint 5mm x 5mm, low thermal resistance 28-pin WQFN package making it ideal for small form factor applications such as data modules as well as handheld radio terminals. The EV9011/EV9021 are Evaluation Kits for the CMX901 and CMX902. These products are wideband RF power amplifiers with high efficiency and high gain and may be used as power amplifiers or driver amplifiers. EV9011/EV9021 Support Pack. Gerbers, tooling, layer stack and BOM for the EV9011/EV9021 Evaluation Kit. Version A01. EV9021-160 Board Schematics. Hi-res schematic for EV9021-160 Evaluation Kit 160MHz variant. Version A01. EV9021-435 Board Schematics. Hi-res schematic for EV9021-435 Evaluation Kit 435MHz variant. Version A01.